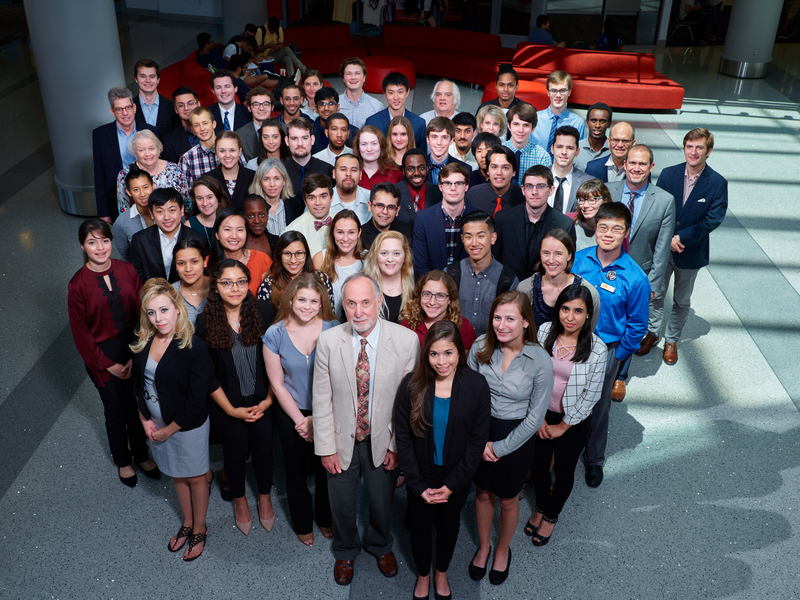 Last month, the RTNN welcomed over 50 guests to Raleigh at the annual NNCI REU Convocation. Participants came from NNCI sites across the country to share their summer research projects with their peers as well as RTNN faculty, staff, and students. The event kicked off with a scavenger hunt where students searched NC State for a variety of landmarks. Attendees also participated in professional development activities that included updates to their LinkedIn profiles and learning how to effectively communicate science to the public. Poster sessions were held on the campuses of Duke and UNC to give students a broader perspective of nanotechnology in the Research Triangle. The entire agenda can be found here and all of the event talks are posted here. This entry was posted in News and tagged Convocation, NNCI, Research, REU, student, symposium, Undergraduates by Maude Cuchiara. Bookmark the permalink.